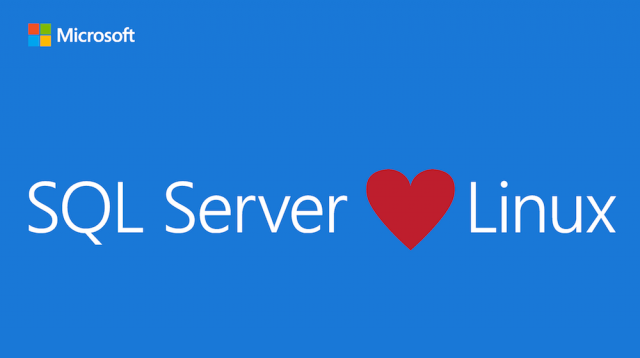 Last few days a lot of people shared link Announcing SQL Server on Linux . And this might be big WOW and surprise for a lot of people but is it really such a surprise? Well yes, if you look at Microsoft few years back while under CEO Steve Ballmer. 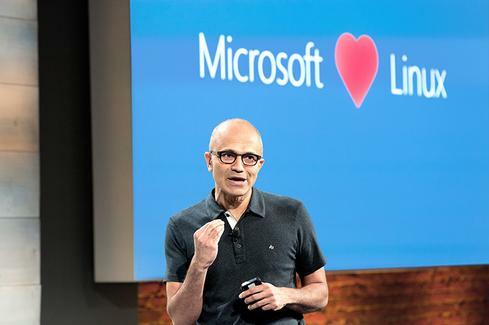 But since Satya Nadella took over, Microsoft took big turn in their business. Does anybody remember this picture? This picture amused me so much that I was using it in all my presentations last year, even those having nothing to do with Microsoft. We can first start with running Linux VM on Hyper-V or on Azure. So Linux and MS are not so new. Besides running Linux on Azure, Microsoft made sure a lot of other stuff that is Open Source is available on Azure. There is also tons of products on Azure that are made by Microsoft past competitors like Oracle, SAP… But this has nothing with OpenSource, this is just smart business. While back Microsoft announced that running ASP.NET apps will be available on Linux. And with ASP.NET Core 1.0 you can do just that, you can run ASP.NET app on Ubuntu or Docker. Speaking of Docker, Docker and Puppets are available on Azure for some time now. In fact I did couple of sessions on Microsoft conferences, Openess@Microsoft and MSNetwork 5 about managing Linux VM on Azure with Docker and Puppet. And yes there is Microsoft conference called Openess talking about Open Source and Microsoft solutions. MS Office in Sarajevo, BiH, organized it last year and this year again. This year event was just last Saturday. Actually there is MS site talking about Microsoft and Open Source. There is also section under Channel9 talking about Open Source again. .Net is available as Open Source and Microsoft just joined Eclipse Foundation few days ago and gave more tools to community. There is probably few other stuff that slipped me but this is enough to give you idea what was going on lately. So to sum up, Microsoft SQL Server running on Linux might be groundbreaking and new giant step forward from Microsoft but we can’t say it was such a big surprise. I was looking through some of your blog posts on this internet site and I think this site is rattling instructive! Keep on posting. It’s in reality a nice and helpful piece of info. I am happy that you simply shared this helpful info with us. Please stay us up to date like this. Thanks for sharing. I have been checking out a few of your posts and i must say pretty clever stuff. I will surely bookmark your blog. Thanks for some other informative blog. The place else may just I get that type of info written in such an ideal manner? I’ve a mission that I am just now operating on, and I’ve been at the glance out for such info. I appreciate you locating the time and effort to get this information together. so much and I’m taking a look forward to contact you. Normally I’m against killing but this article sletahugred my ignorance. Great Blogpost! I couldn’t refrain from commenting. Perfectly written! I want looking at and I think this website got some really useful stuff on it! .